Are you looking for Canberra translation services? Look no further than OPAL Translation! 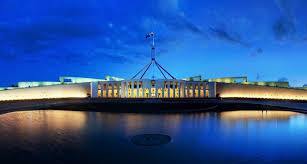 Canberra is Australia’s capital city and is the country’s largest inland city. It is also the Federal Government’s centre. With a large number of government, diplomatic and business activities, Canberra requires effective communication in multiple languages. Looking for a NAATI Accredited Translator in Canberra? In response, high-quality translation is essential. OPAL Translation provides NAATI certified Canberra translation services for both of your business and personal requirements. All of our translators are NAATI accredited, so you are confident that your translations are accurate and error-free. Effective communication is the key element in building trust in a business relationship thus a majority of businesses and government departments look for Canberra translation services to translate documents. To help you achieve this, experienced Canberra NAATI translators at OPAL Translation offer Canberra translation services with the aim to maximise your international reach and global marketability of your business. Whether you are in the engineering, human resources, accounting, or medical field, OPAL Translation offers outstanding Canberra translation services with our highly skilled NAATI certified Canberra translators who are experts in their own fields. A lot of people request for our Canberra translation services for visa applications, academic purposes, job applications and immigration reasons. Our experienced Canberra NAATI translators can help you in translating your marriage certificate, birth certificate, diploma certificate, academic transcript, passport, ID cards, driver’s license, or any other document. Receive a free quote today by completing our enquiry form located on this page. Our Canberra translation services offer highly qualified Canberra NAATI translators for the lowest translation rates. In a hurry? No worries! OPAL Translation offers an option of a rapid Canberra translation services turnaround time for urgent cases. We support the following languages in our Canberra translation services. As one of Perth’s leading translation services provider, we have completed hundreds of document translations in the past seven years. Our team works closely with each of our clients to make sure that all requirements are met. Our dedicated customer service representatives are passionate at responding to enquiries and emails in just a few minutes. We can deliver your translations and ensure that each of your deadlines are to be met. With our NAATI certified translators, you can expect high-quality translations. Our Live Chat below is available 24/7 so feel free to contact us anytime. Get a quote in just 15 minutes via the translation quote form absolutely free! Our Canberra NAATI Translators can translate the majority of documents with a 2-3 business days completion time when ordered under our OPAL Standard Canberra Translation Services. We provide OPAL Express and OPAL Instant Canberra Translation Services if you need your translation sooner. Just let us know, and we’ll be happy to assist you. Want to know more about Canberra? Here are some interesting facts that you should know. Canberra was planned in 1908 to solve the rivalry between Melbourne and Sydney as to where Australia’s capital should be located. The city has a vibrant cultural centre with 33 wineries and 140 vineyards surrounding it. The Namadgi national park located near Canberra has a Yerrabi walking track where you can observe fragments left by Aboriginal people and get a sense of the country’s ancient history. If you choose to visit this place, don’t forget to drop by its impressive attractions such as the National Gallery and Parliament House. Get a FREE quote within 15 minutes when you complete our enquiry form located on this page! Documents such as licences, birth, death and marriage certificates, police checks and clearance certificates, and diploma and degree certificates are considered as standard documents. We charge these documents at a per page rate starting with $69. Simply send us scans of your documents to check if they are eligible for standard document pricing. We provide an exact quote for non-standard documents, just complete our online enquiry form with your documents attached and we will send you a detailed estimate within 15 minutes via email. If you are in need of a translation services provider in Canberra, we’ve got you covered! Just send us a copy of your document via the free quote form and we’ll provide you with a firm quote in just 15 minutes absolutely free! For you other concerns, don’t hesitate to get in touch with our customer service representatives using the Live Chat below. We are available 24/7 to answer your questions.